Michael began his career in network television at NBC, continuing through the ranks of PBS. His storytelling won three ‘Personal Achievement’ Emmy Awards for individual excellence. He has been recognized at Turin, Cannes and international film festivals, receiving critical acclaim for groundbreaking approaches to dramatic and episodic content. In 1999, Michael was a managing founder of an HBO digital media channel. Blurring the lines between browser and tube, the social content strategy launched one of the largest out-of-home channels in the U.S. and Europe. Several campaigns created by Michael's team are featured in Motion TVFILM, a hardcover book published by HarperCollins/NYC. 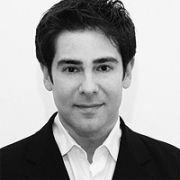 Michael moved in 2002 to Draftfcb Chicago, where he built an emerging media team to help clients take advantage of new marketing channels. Michael led the digital, emerging media, broadcast and creative technology disciplines for the Chicago office. In addition to his role for agencies internally, Michael is a formidable advocate for the media industry. Along with Sir Richard Branson of the Virgin Group, Michael was recognized as the co-keynote speaker for the Direct Marketing Association (DMA) global conference in San Francisco. He is also a contributor to the digital efforts of POPAI, recently gave the keynote address at the Digital Summit sponsored by the Strategy Institute, a featured panelist for the Interactive and Mobile Marketing summit and a Final Round Judge for the EFFIES Awards. Michael's creative leadership at imc² is focused on brand building through mobile, broadcast, interactive and retail channels. Michael is a 2009 graduate of the executive MBA program, Steinbeis University Germany, Berlin School of Creative Leadership.